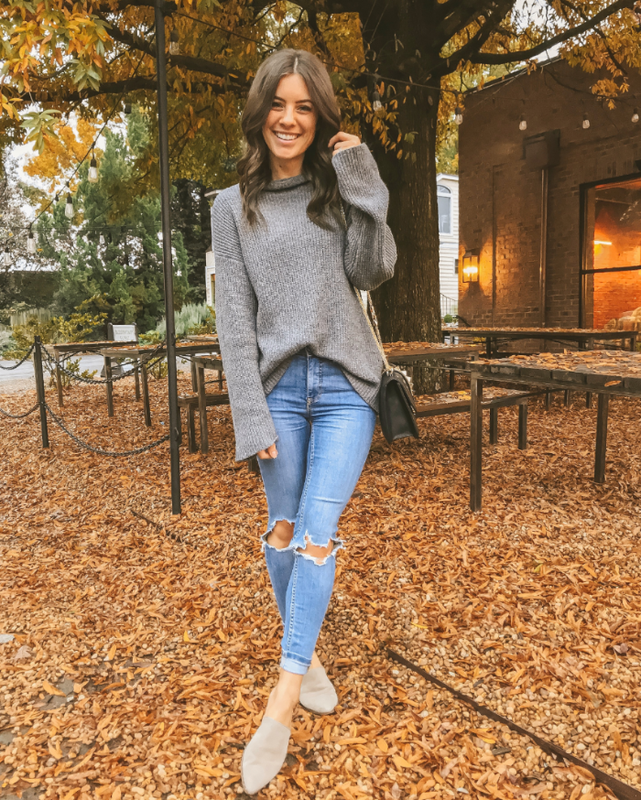 I wish you the best time with friends and family and make lots of room to eat all the goodies :) I have rounded up 25 outfits perfect for your Thanksgiving weekend festivities & almost all of them are on SALE! I'm going to start with my favorite and if I wasn't working on Thanksgiving, this is the outfit I would wear! 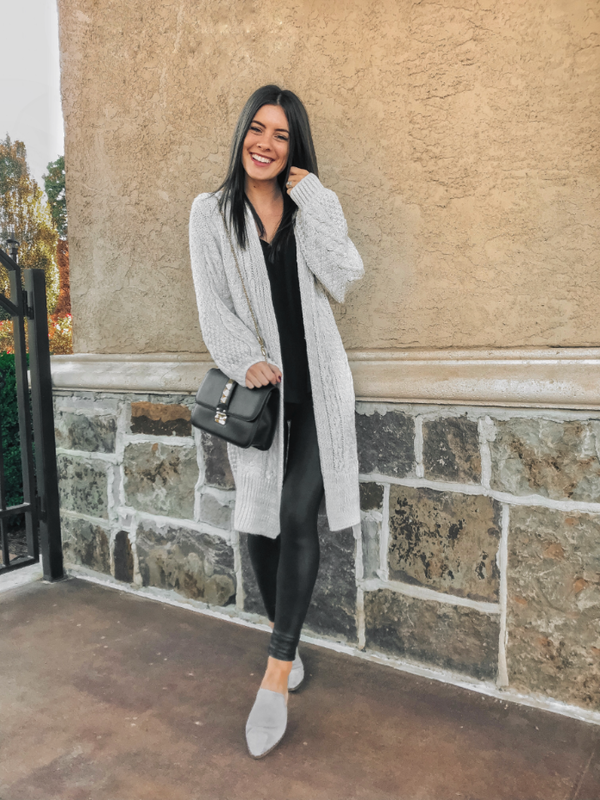 Dressy, yet oversized sweater and leggings are my go-to outfit for that expected food baby. This sweater is very soft and super stretchy! Highly recommend! Here is a more casual look & this top comes in multiple colors making it a great layering staple! It's more of a sturdy material but does have some stretch. Love! Love! LOVE! this outfit! 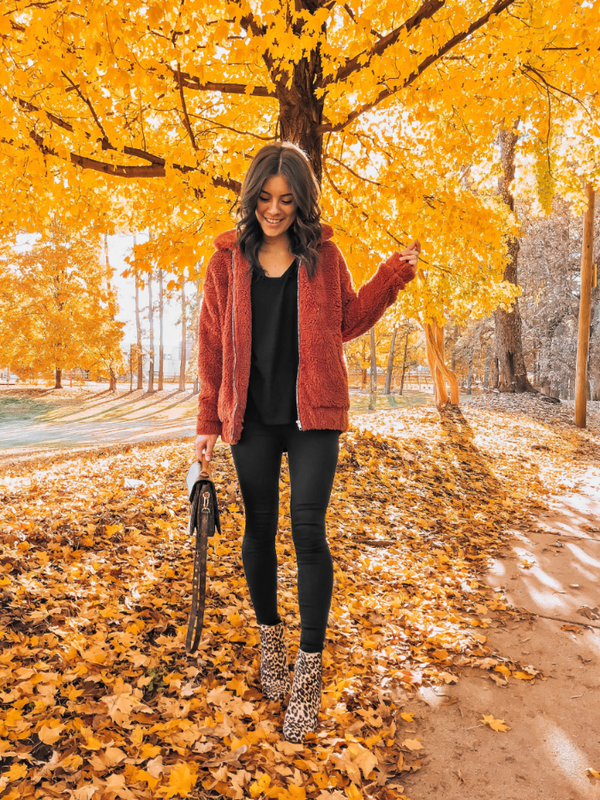 I'm all about all black and a pop of color and this jacket is just the cutest and under $50! 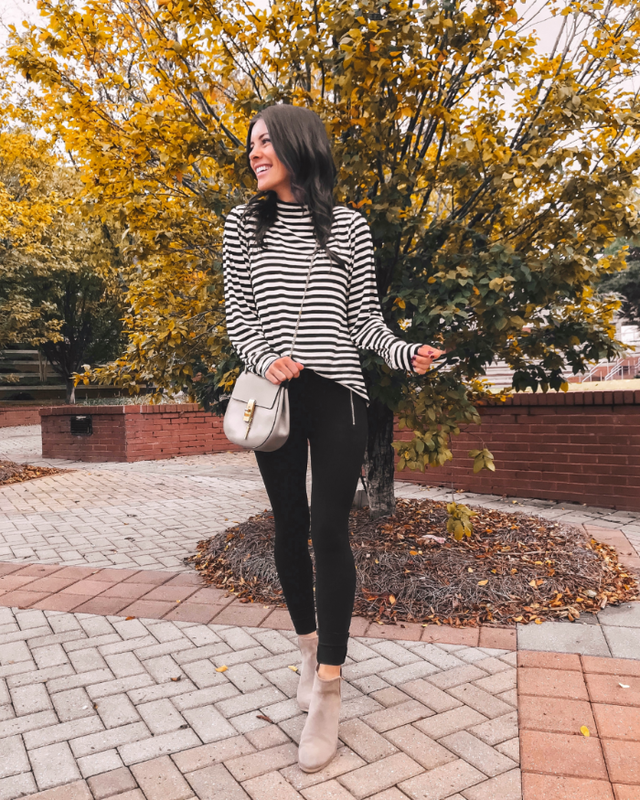 This v-neck sweater is also a great staple! if you're wanting to be a little "extra" this Thanksgiving, this look is for you! 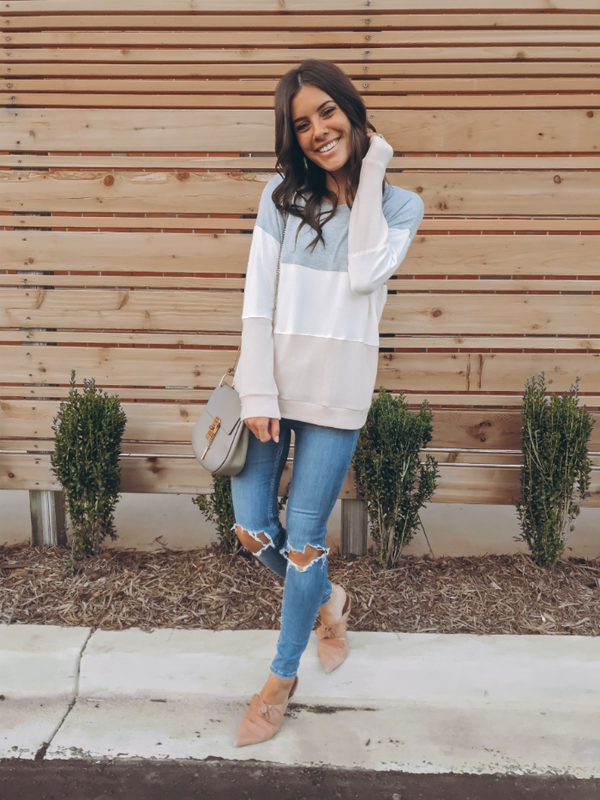 This color block sweater is just the CUTEST! It has Thanksgiving written all over it & would look so cute with higher tan boots! I had a few questions about it and it is soft-no itchy sweaters around here! Also, it does run oversized-I'm wearing XS. I also found a similar https://rstyle.me/n/dbkacvb66r7HERE- it's lighter weight, but involves the same color scheme. 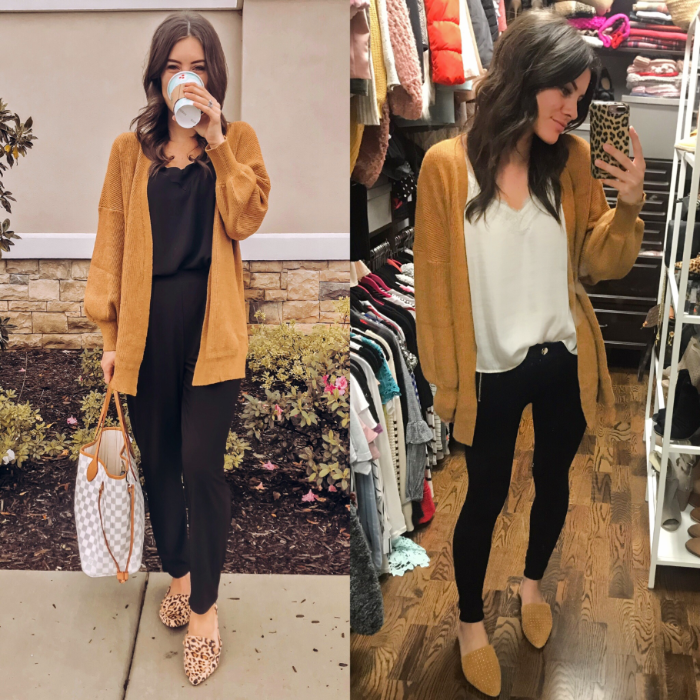 This cardigan is high on the list of my favorite purchases this Fall/Winter. It's by one of my all-time favorite brands because everything they make is SO soft & such great quailty! It's currently on sale & comes in grey too if you want to move away from fall colors. This top is on sale, but the real show stopper in my opinion are these high-waitsed ripped jeans. They're one of my most worn pairs and super stretchy. They are also high-waisted & super stretchy but hold their shape very well. They're also currently on sale. BTW I cut the bottoms, they are not raw hemmed, but I tried the petitie version in my normal size and altogether the regular version fit much better. This top is just SO cute! The front tie can be left open, but I'm all heart eyes for the peplum detail and the ruffles on the sleeves. There are also a ton of other styles in this top HERE, oh and currently on sale!! 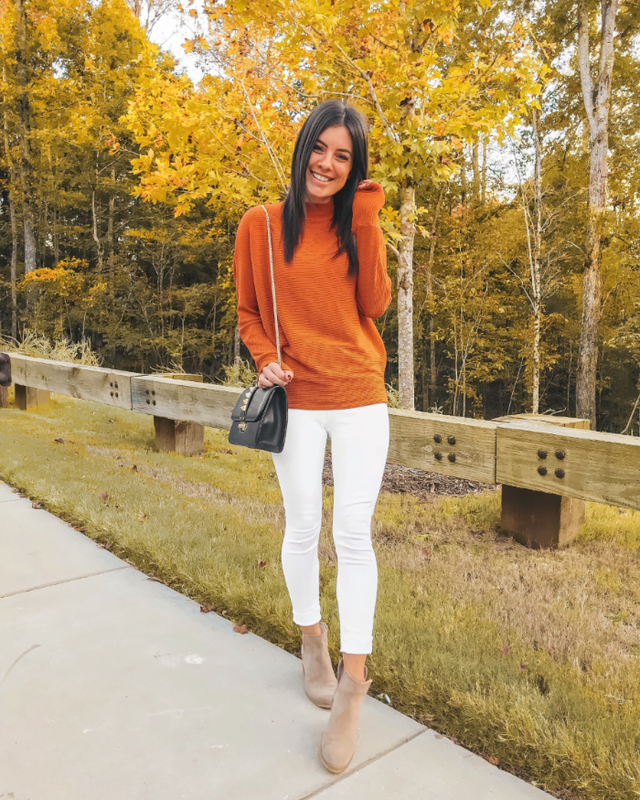 This color block sweater doesn't necessarily scream Thanksgiving, but it is very soft and comes in another color combo that includes a rusty orange. It would also look great with black jeans and booties for a more dressy, neutral look. Obsessed. 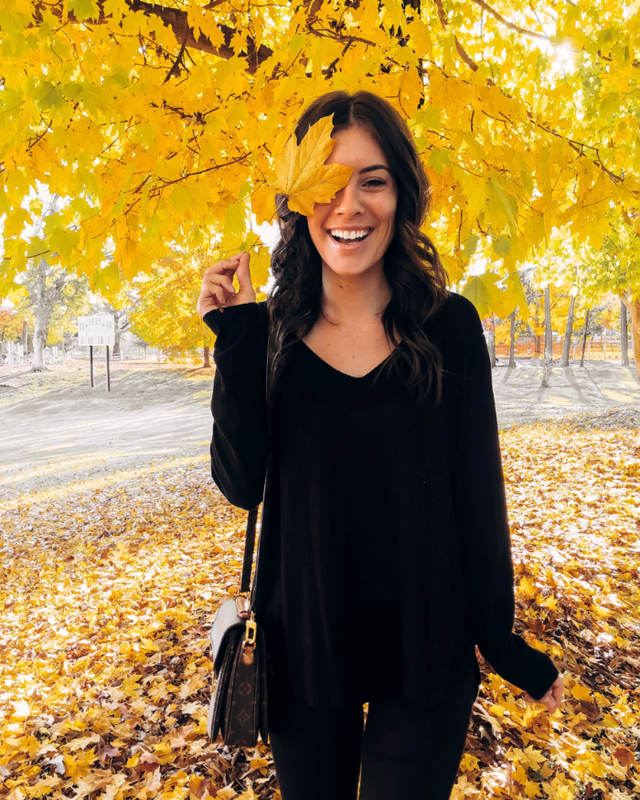 End of story and if you see your size in this poncho sweater grab it ASAP! 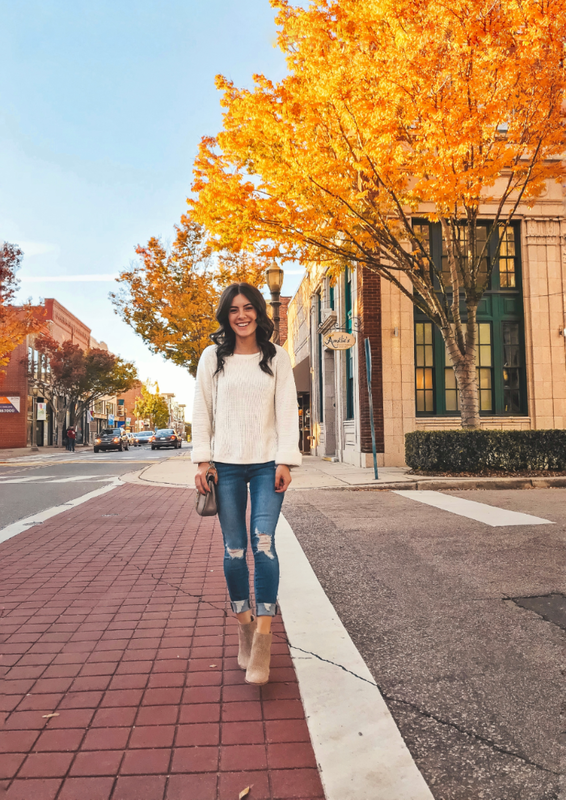 This top is for the girly-girl and will take you into any of your holiday festivities with pants, skirts, and even jeans! It's also a great option for work. This cardigan really is as soft as it looks and comes in more colors. 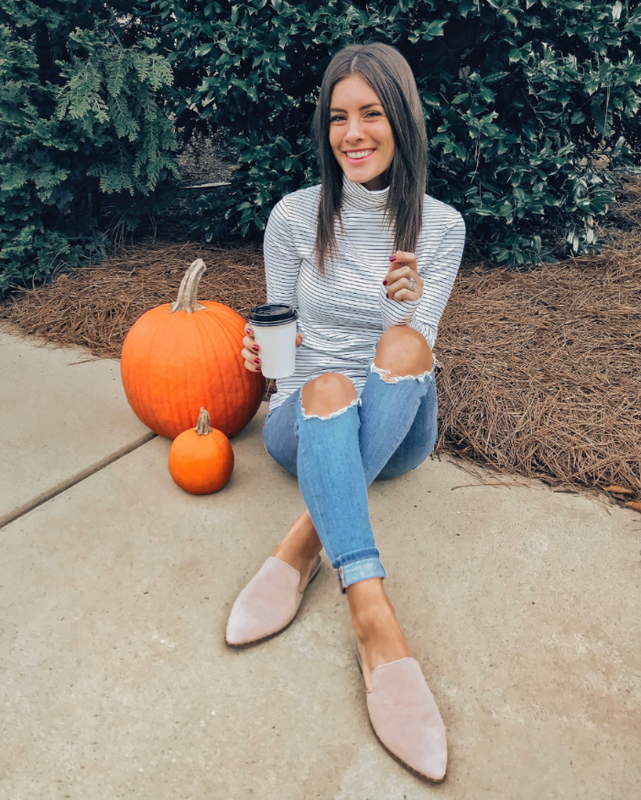 I love this casual look, but for Thanksgiving, I would switch up the jeans for black pants and booties for a more dressed up look. 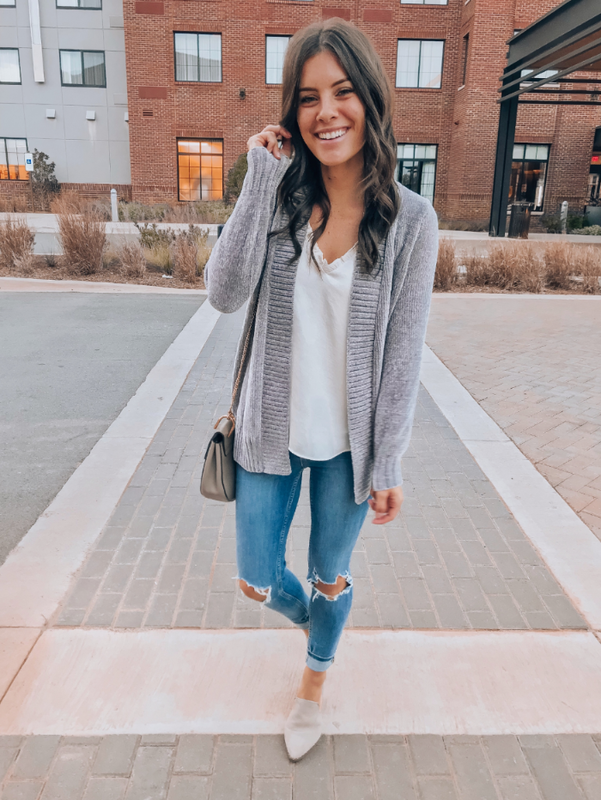 This cardigan is just so cozy and comes in multiple colors! It would look so cute over a dress & booties for a more dressy look! It's also not itchy at all & great for lounging around too. This is another favorite purchase this fall and it comes in so many other colors! It's very soft and stretchy and such a great fit-tighter at the bottom and loose everywehre else! This top is actually currently on sale & very lightweight so it's great for indoor festivities as well! Size up if you want to wear it with leggings. The color is also great into Christmastime so you can totally rewear it many different ways! This combo is great for a casual look throughout the Thanksgiving weekend. I love this sweater becuase it is very sofy, but it is more of a boxy fit. 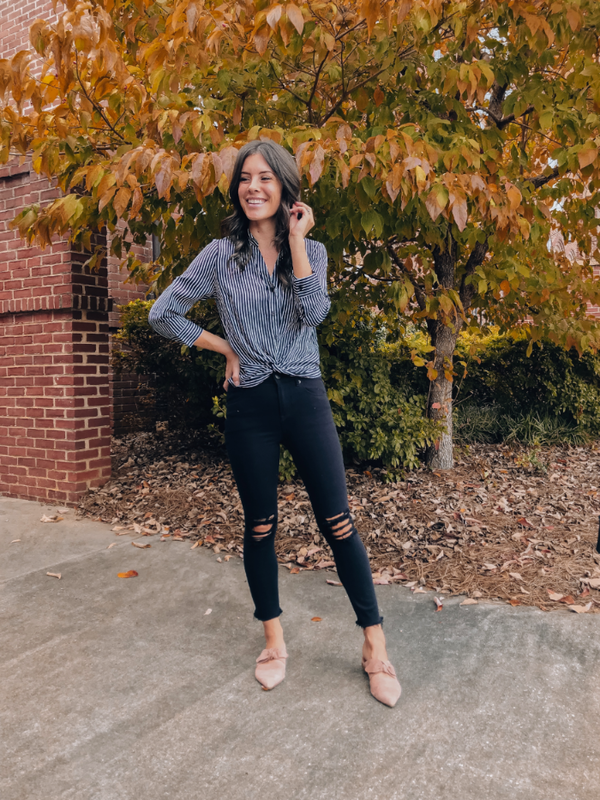 These jeans are also less than $100 & love the style! They do stretch a bit so I wouldn't size up. 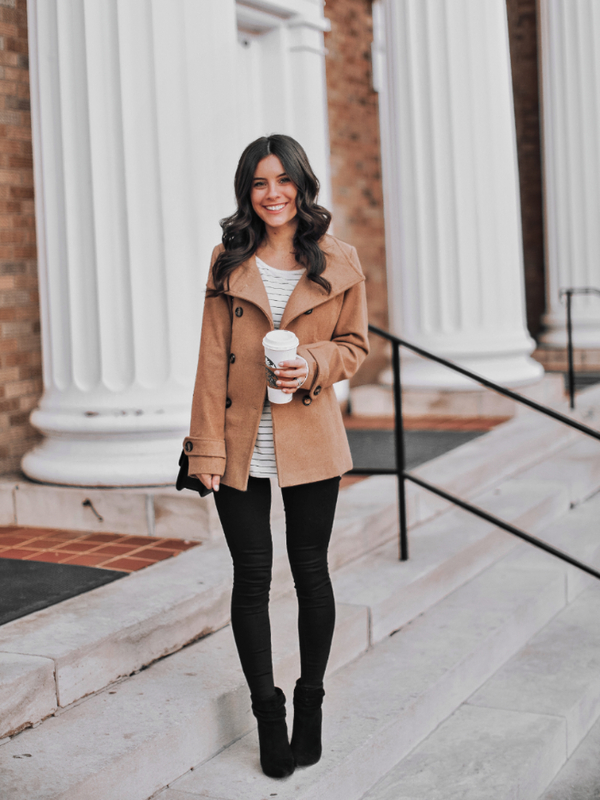 This coat is such a great light-weight coat and you really can't beat less than $38 for a coat!! I actually gifted this and had to get one for myself becuase it's that good There are a ton of other colors available too! 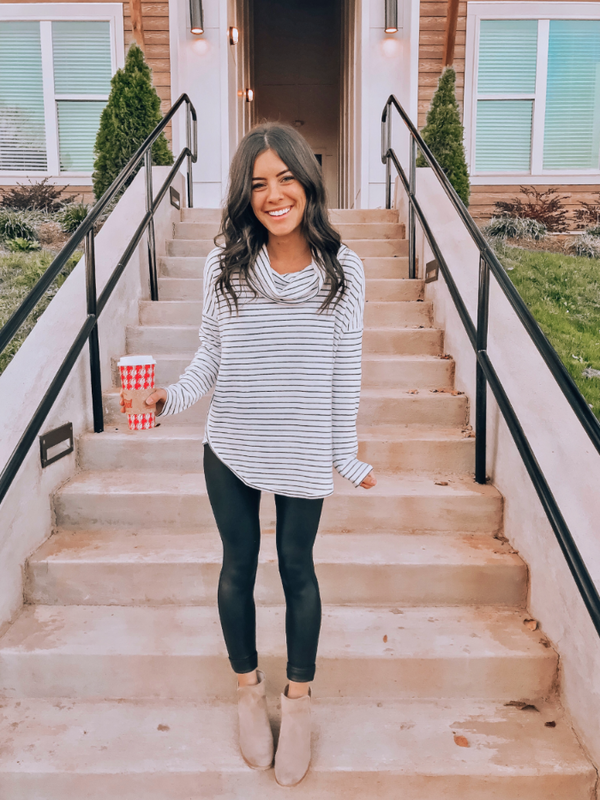 Another great sweater find that comes in more colors! It's very soft, but again, for a more dressy look imagine it with black jeans and black booties-so cute!! Always love a great neutral look! 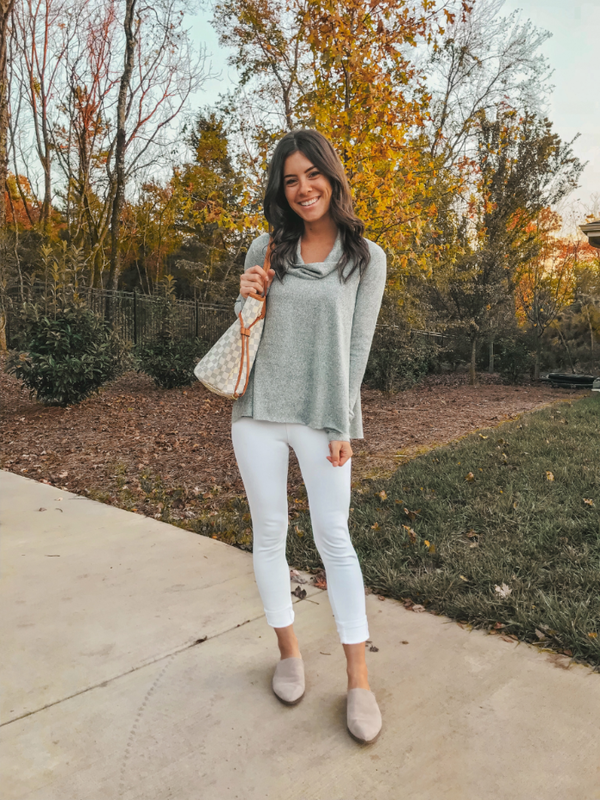 I've worn white jeans a lot this fall and I actually love how they pair with sweaters! What White after Labor Day rule?! lol! This is one of my favorite looks to date! 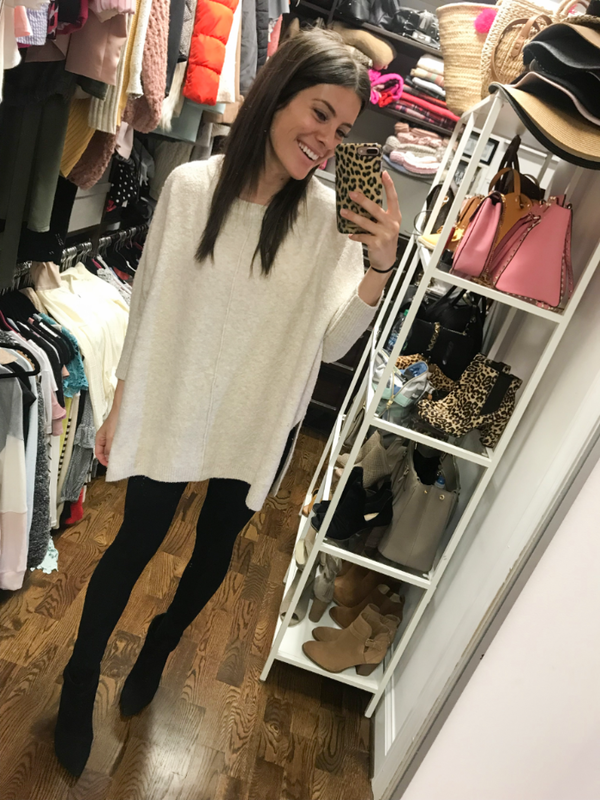 I love this sweater so much & its currently on sale! It's lightweight but SO soft. I sized up to a M so I can wear it with leggings. Plaid top for the win! Plaid is a must-have this time of year! 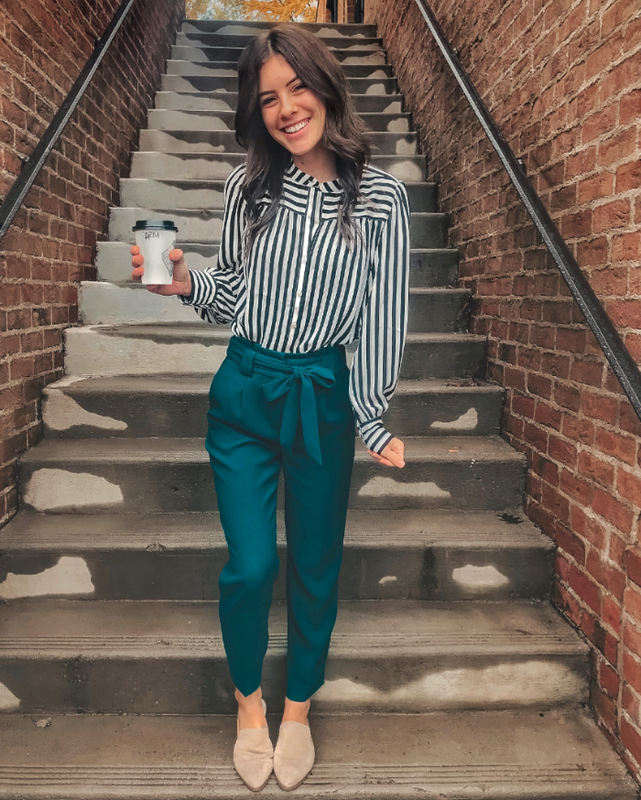 I love this striped top, but these bow pants win the prize for me! They're currently on sale and I actually just ordered the red pair to be able to wear for Christmas get-togethers! 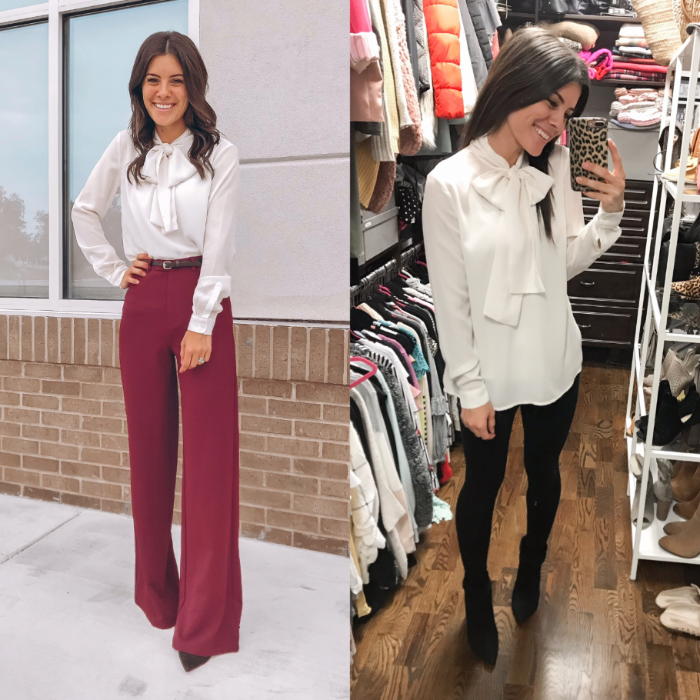 I just saw another favorite pair of bow pants (THESE) just released in red and also on sale! They may look familiar as they are the same as the yellow pair I wore recently. They are a little thicker than the pair pictured-definitly check them out. Hope you all loved this post! 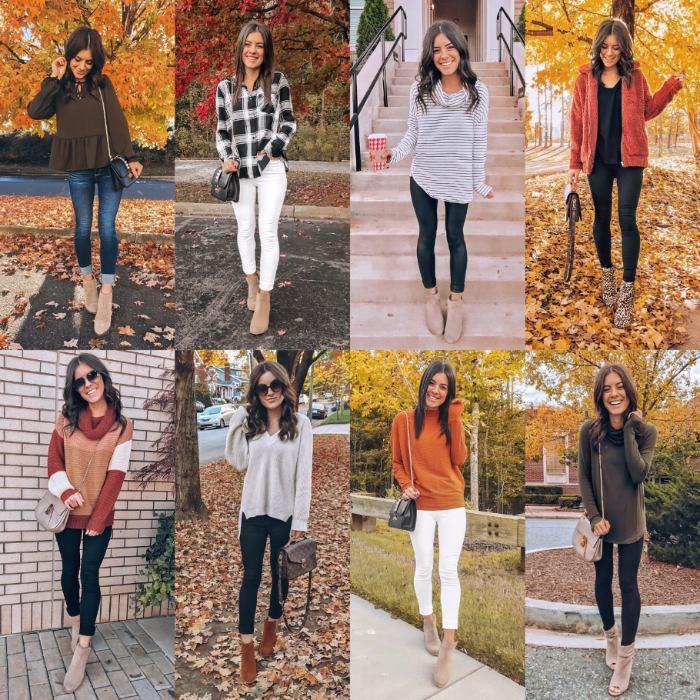 I shared 25 Thanksgiving outfits last year too and updated those links and if the items weren't available I provided you all with similar items. Surprisingly a lot of those items were still on sale though! If you missed it, you can check it out HERE. We Are Building A House! !